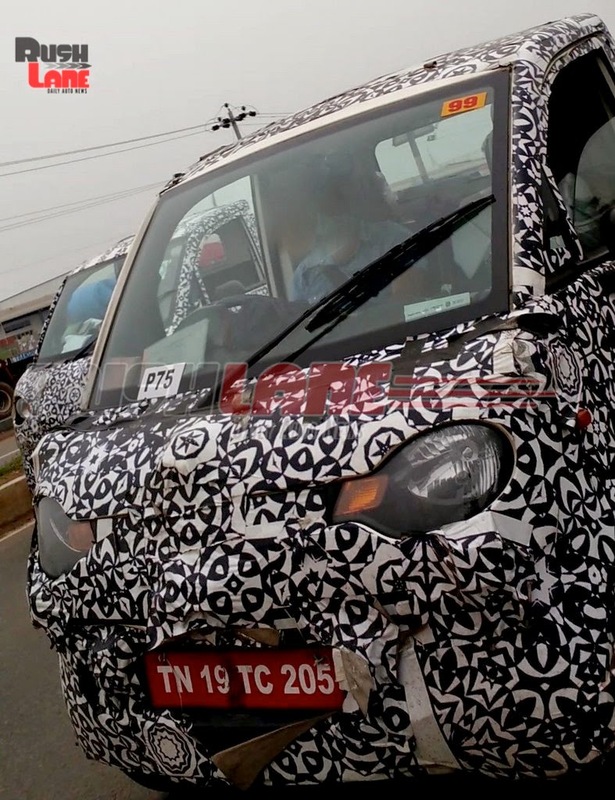 Mahindra is testing its P601 pick up mini truck in and around Chennai where it has its R&D facility (Mahindra Research Valley). From the latest spy pictures we see dumbbell shaped headlamps which look cute on this mini truck. Looking by the size of the vehicle it might be positioned between Gio and Maxximmo mini truck. It will have payload capacity of 600-700Kg. A rumour of two wheel bases of the vehicle is going around which means the payload can be increased to 1 ton also. Mahindra P601 will compete with Tatas range of mini trucks which has seen huge success in this segment.